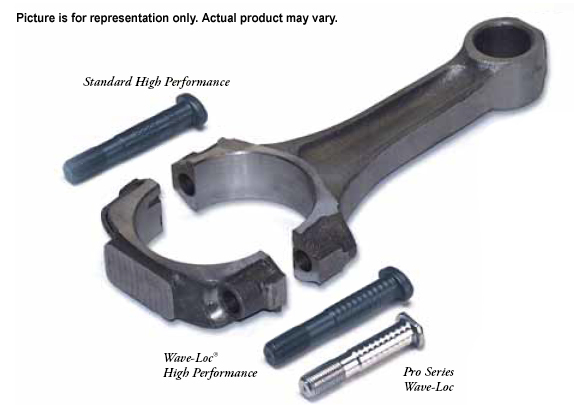 A premium grade 8740 alloy chrome moly steel is used to manufacture ARP High Performance connecting rod bolts. This material is heat-treated to provide a tensile strength in the 200,000 psi range, which is substantially stronger than the OEM bolts. Cycle testing shows ARP High Performance rod bolts to be nearly five times more reliable than stock bolts.